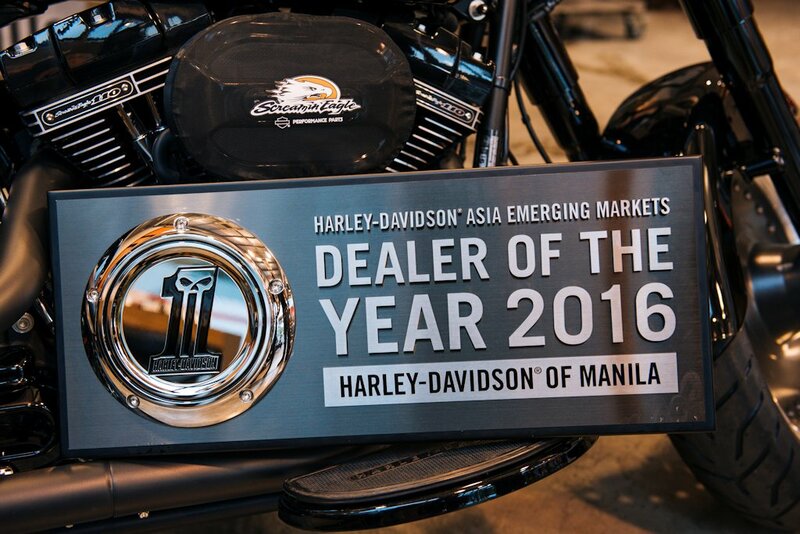 Harley-Davidson of Manila has bagged the Dealer of the Year Award for Asia Emerging Markets (AEM) for 2016. 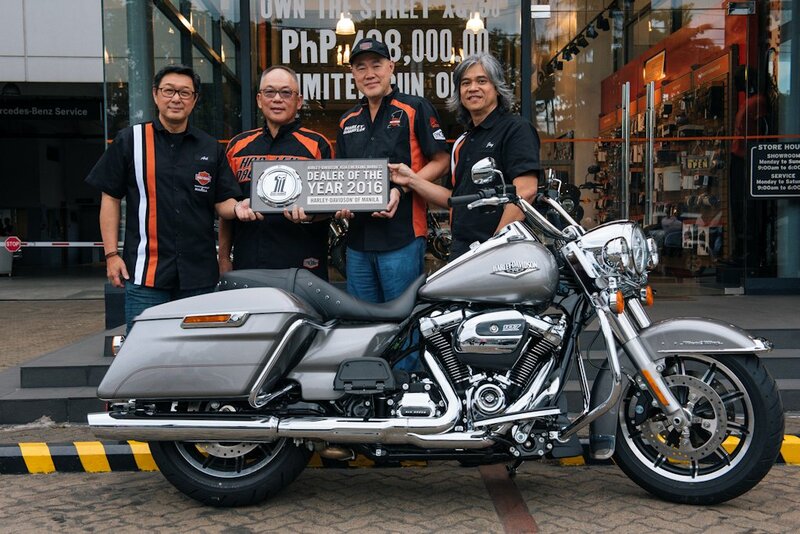 Presented during the AEM Dealer Principal meeting in Bangkok, Thailand, Harley-Davidson of Manila won this prestigious honor only after opening in 2013. In order to win the Dealer of the Year Award, Harley-Davidson cites the following criteria: Business Growth, Customer Experience, Marketing and Events, and Management and Staff Training. 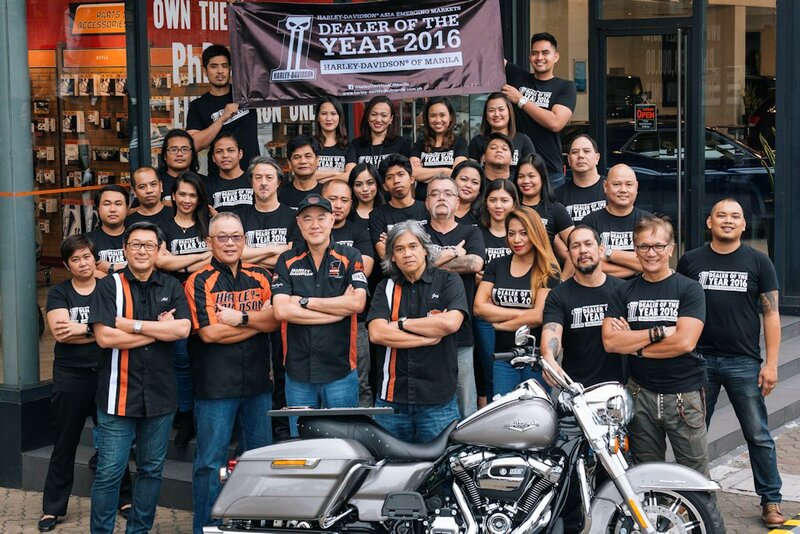 All in all, Harley-Davidson of Manila garnered excellent commendations across all areas of dealership operations allowing them to best other dealers across the region. Mr. Peter Mackenzie, Managing Director of Harley-Davidson AEM and China, together with Ms. Hee-Jung Moon, Dealer Development Manager, AEM, handed out a commemorative plaque with the Dark Custom number one logo emblazoned on a derby cover. There to receive the recognition was Mr. Francis Jonathan C. Ang, Vice President of American Motorcycles, Inc. and Mr. Jay Bautista, Harley-Davidson of Manila’s General Manager. Owned and operated by American Motorcycles, Inc., Harley-Davidson of Manila has been an authorized Harley-Davidson dealer since March 2013. They have two locations: 1008 EDSA Greenhills San Juan City; and Shangri-La at the Fort, Manila 30th Street corner 3rd Avenue, Bonifacio Global City.